If you are a learner driver in the Lusk area these are some details that might help you make a decision. The distance from Lusk village to the Finglas test centre is 22 km. It will take you about 25 minutes to drive during off peak times. This should be taken into account if you are planning to do some pre-tests in the Finglas area. That means that you should do your lessons in two hour blocks to make sure you get to experience the full range of test routes. Also you can do your practicing in Swords which Top Class Driving School highly recommends as we have set out a number of routes which match the Finglas and Raheny test areas. If you’re thinking about the Raheny test centre you should also consider the travelling from Lusk to Raheny. The distance from Lusk to the Rahney test centre is 23 km and it will take you about 45 minutes to drive at off peak times. This should be taken into account when planning your practice or pre-test lessons. If you are short of time then you can prepare for you test with Top Class Driving School on some of the pre planned routes that have been set out to match the test routes in Raheny. If you are a learner driver in Rush and you are trying to pick your driving test centre then you should consider the travelling time. The distance from Rush to the Finglas test centre is 26 km. It’s going to take almost an hour to drive during off peak times. 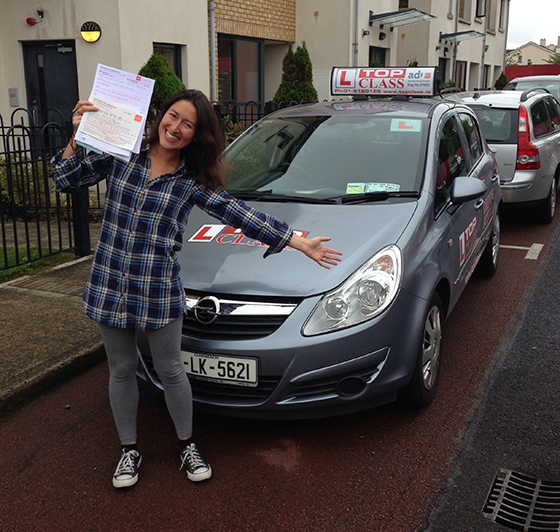 At Top Class Driving School we would recommend that you prepare yourself in the Swords area. We have pre set routes that are very similar to the conditions you will face in Finglas. This will save you time and money and once you are confident with your ability then you can do some lessons in the Finglas area to become familiar with the test routes. If you are considering taking your driving test in the Raheny test centre you should consider that the distance from Rush to the Rahney test centre is 27 km and it’s likely to take you over an hour to drive there during off peak times. Again we at Top Class Driving School would suggest you could prepare for your driving test on the pre-set routes we have set out which match the conditions you will face in Raheny. While you are waiting for your test date you can also do some practice in the St. Catherine’s housing estate. There are some left and right turns along with some tricky T-junctions. The estate will also give you an opportunity to practice your reverse and turnabout manoeuvres. on April 24, 2014 by Pat Ferris.